Why Cancer Care at Ochsner? 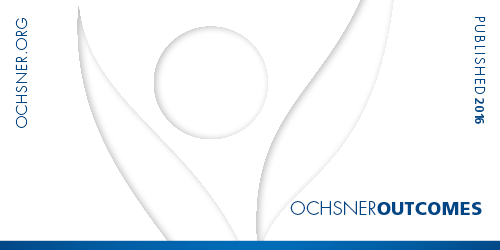 Learn more about the quality care Ochsner provides. When you come through our doors you receive cancer care services unlike any other in a comfortable atmosphere. A dedicated nurse navigator works with patients and referring providers to facilitate scheduling appointments and obtaining records. Ochsner physicians specialize in all types of cancer and as many as 20 cancer specialists care for each of our patients. In the past year, Ochsner has provided care that is both personalized and state-of-the-art to more than 15,000 cancer patients. Look at our outcomes to find out why the Ochsner is the right choice for you. At Ochsner, adult and pediatric cancer patients benefit from a collaborative approach to cancer care by a highly skilled team of physicians, oncology nurses, social workers, researchers and other healthcare professionals. What’s more, your referring physician remains part of our team and will be kept in the loop on your treatment and progress. Ochsner’s multidisciplinary approach means you have a whole network to lean on – and each member of the team knows what the other is thinking and doing. Ours is an environment that fosters innovation and collaboration. Everyone is on the same page – everyone has the same information and the same goals. At Ochsner, appointments are scheduled with your comfort and convenience in mind. Team members keep compatible office hours to make it easier for you to see more than one doctor on the same day. When you’re not feeling well, you want a team that works around your needs, not theirs. Ochsner Cancer Center Baton Rouge: Learn more about this new cancer center location! Slidell Memorial Hospital Regional Cancer Center: Learn more about this cancer center!